Dear Ritz Carlton, Why Don't You Treat Marriott Platinums Better? Dear Ritz Carlton, Why Don’t You Treat Marriott Platinums Better? With the impending merger of the Marriott and Starwood programs looking more imminent, I wanted to write a post about the benefits of Platinum status at both chains. Members love the fact that they can redeem hard earned points at the fancier hotel properties where they can treat their family to nice vacations. But, you may feel less rewarded at Marriott top tier properties then the rest. In particular, the Ritz Carlton. Let’s look at the benefits of Platinum status at both Starwood (25 stays or 50 nights) and Marriott (75 nights) with particular look at how Ritz Carlton treats Platinums. Thats great, but what about breakfast and lounge access? One of the best benefits of being top tier status is free access to lounges and complementary breakfasts. Both Hyatt and Starwood do this right in my opinion. At Marriott it is not as simple or rewarding. Marriott hotels, excluding at resorts. So what about at Ritz Carlton or resorts? That’s right no breakfast for Marriott Platinum members. With Marriott, you don’t get free breakfast or a welcome amenity (only 1,000 points) at Ritz Carlton properties. At Starwood, you can get complementary breakfast no matter what hotel you stay at and that is nice. Ritz Carlton’s lounges tend to be a lot better then your normal hotel chain lounge club. You don’t get complementary access to those either. Not even a discounted rate for Platinum members is offered across the board. Marriott Platinums are eligible for a room upgrade but, that is solely up to the hotel. Which is unlike Starwood. Starwood Platinums get a suite upgrade if the suite is available. Marriott Platinums may get a suite but are not entitled to it. Many travelers report that at the Ritz Carlton, not only do they not get an upgraded room, they tend to get one of their smallest, low floor, no view rooms; even after a request for Platinum level, available upgrade. Complimentary Room Upgrade: Based on room availability at check-in and limited to a Member’s personal guestroom. Upgrades may include rooms with desirable views, rooms on high floors, corner rooms, rooms with special amenities, rooms on Executive Floors, or suites. All upgrades are granted on a space-available basis, as determined at the time of check-in. Upgrades are subject to availability and identified by each hotel. Not available at Marriott Vacation Club. I have a lot of advice for how Ritz Carlton could treat Marriott Platinum members better. I’d much rather burn my points at a St Regis, or Park Hyatt then the Ritz Carlton for these reasons. I’d love to see Marriott institute Starwood’s benefits when they combine programs because Starwood treats loyalty right. 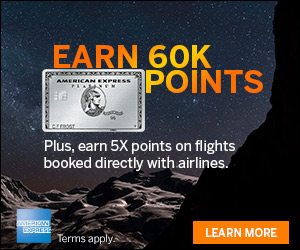 Love Racking Up The Starpoints? Be careful what you wish for. 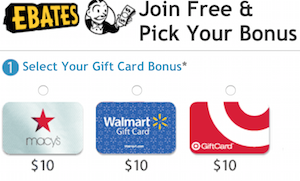 They could unify all three programs into one crappy loyalty program. You’re wrong about this. Protecting access to their Club Level is one of the hallmarks of The Ritz-Carlton brand. Their Club Level is what it is precisely because it hasn’t been overcrowded by complimentary access for elite members. I’m willing to pay a premium for their club level product just so I can eat breakfast in a quiet environment. And offering complimentary breakfast for Platinums in the restraunt downstairs would only undermine their Club Level product. I agree. Marriott needs to address this inconsistency among the brands. I understand the concern about overcrowding but I think they should only allow Platinums and not Golds lounge access/breakfast at Ritz and all resort properties. Pretty much, Ritz-Carlton couldn’t care much less about loyalty. Given that they’re owned by Marriott, this isn’t a total shock, but having some tangible elite benefits would obviously be an increased draw. Another indication of Marriott’s diffidence toward elites is the lack of breakfast and lounge access at resorts. Resorts are exactly where you want these benefits the most, since after slogging from one city or suburb hotel to the next on the company dime, you can finally enjoy the fruits of that loyalty with great benefits at resorts… Except at Marriott. I love SPG, but really worry what will happen once integration is complete. Ritz Carlton’s procedures are just fine with me and I could care less about any Platinum recognition there. You get what you pay for and paying extra for RC Club access is quite acceptable and refreshing as the RC Club is a significant upgrade compared to club experiences in Marriott and SPG hotels. I hope when the integration is complete, that Ritz Carlton and SPG continue to exist as separate orbs in the Marriott family. Frequent travelers to all three programs know the differences. Yes, it is a stretch to think that this will happen, yet one can dream. Marriott’s terms and conditions for Ritz-Carlton are more generous in one area for platinums: upgrades. The terms and conditions specifically state that ONLY platinums can receive an upgrade to a suite at Ritz-Carlton properties. Golds cannot receive a suite upgrade by virtue of their elite status. By comparison, the upgrade provision in Marriott’s terms and conditions for all of its other brands, excluding legacy SPG brands, does not specifically mention suites nor limit a suite upgrade to platinums. Have been to many very busy, less than quiet Ritz Carlton Clubs. Its relative to time of year and location. If you want better upgrades to suites and better rooms at the Ritz-Carlton transfer your Marriott Rewards account to Ritz-Carlton rewards and become a Ritz-Carlton Platinum member instead of a Marriott Platinum. As far as upgrades go, Ritz-Carlton puts Platinum members of its own rewards program first and offers Marriott Platinums the leftovers. I really hope Marriott doesn’t destroy the Ritz-Carlton brand but turning it into another JW with overcrowded lounges. The Ritz definitely offers more upscale food and beverage offerings including free alcohol, so I don’t mind having the RC cc to partake in this and rather it not be open to everyone else. I have been upgraded to a suite before in Orlando and the lounge was already crowded so can’t imagine it being open to more people. I can see how customers from each respective program can have differing opinions. The best thing about the Starwood merger was the access to great properties in various locations, as well as the complimentary BREAKFAST at resort destinations. As someone else mentioned, once you’ve muddled all of your nights with work travel, why not have the opportunity to enjoy breakfast while on holiday? This is where Marriott misses the mark by restricting something as simple as breakfast (eggs and bacon) from its most loyal and highest spend customers (Platinum level). However, the most disrespectful piece is that Ritz gold/platinum members get all of the perks of Platinum SPG and Rewards members, i.e lounge access, late checkout, complimentary breakfast, room upgrade, etc. In contrast, for Platinum SPG or Rewards members staying at a Ritz, its points, and possibly a room upgrade of the hotel feels like it. That’s about it. 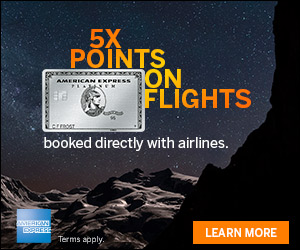 How can one rewards program get the same perks of the others, yet it’s not the same way when reversed? Do I feel that Marriott gold members should have Ritz lounge access? No. Platinum members? Maybe. Lifetime Platinum SPG/Rewards members…ABSO-FREAKING-LUTELY!! This would be the right thing to do.